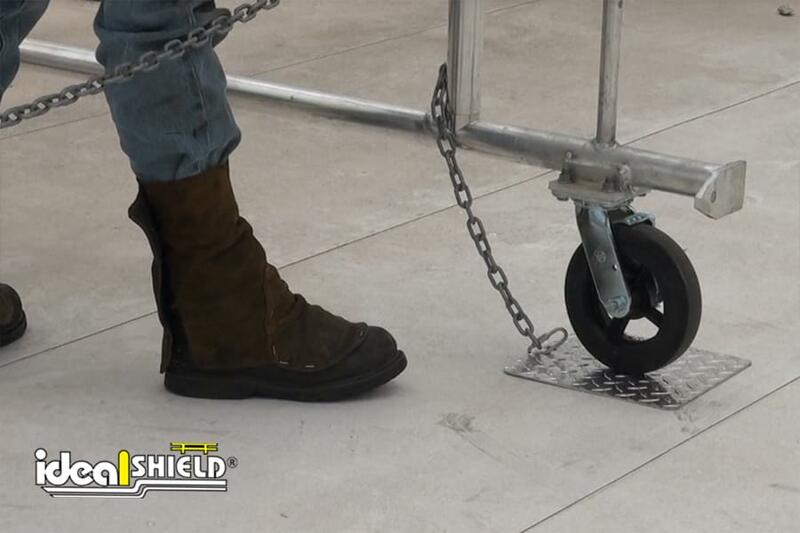 Ideal Shield’s Mobile Parapet Barrier, a unique fall-protection solution, eliminates the need for anchor point attachments and personal protective equipment for workers. 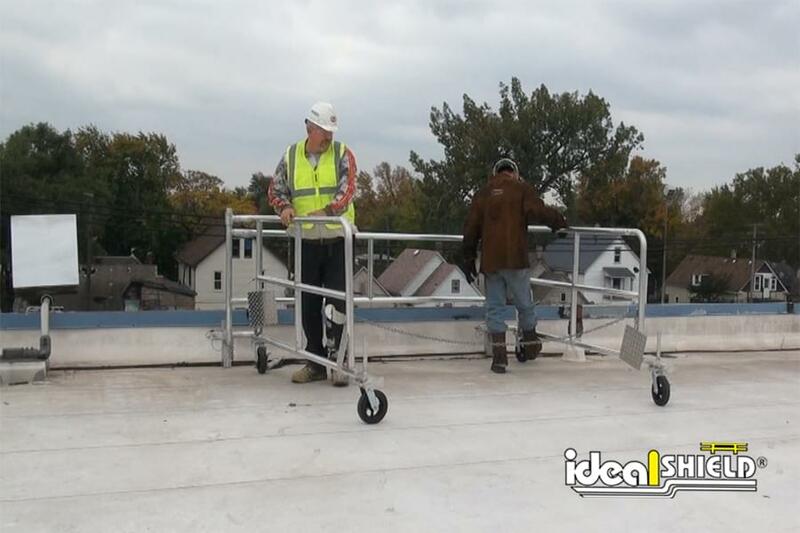 The 3’4” high by 8′ wide parapet wall serves as a bumper for the product, acting as the only safety requirement. 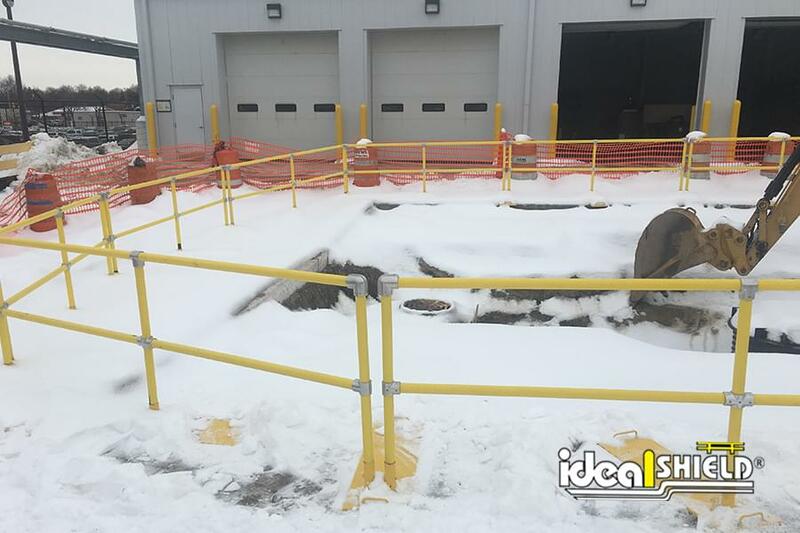 Manufactured from powder-coated safety yellow aluminum, Ideal Shield’s Mobile Parapet Barriers weighs approximately 100 lbs. 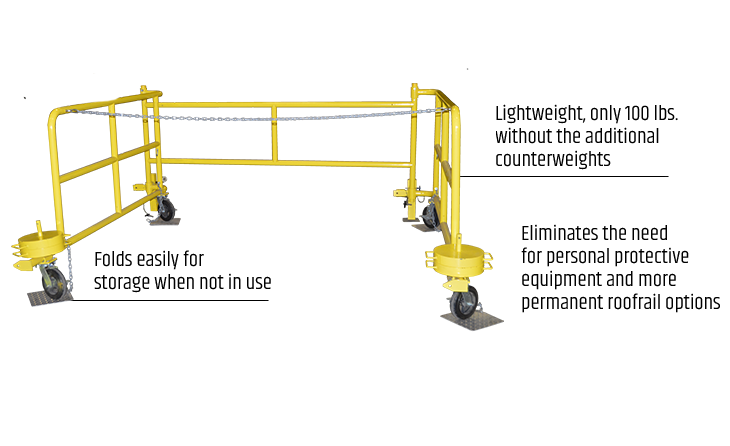 without the counterweights, ensuring a lightweight and weatherproof product. 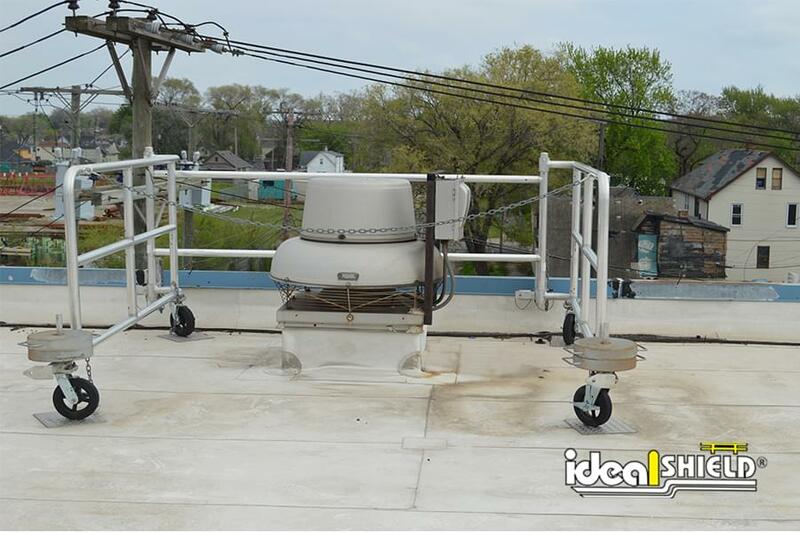 Our Mobile Parapet Barrier meets and exceeds OSHA requirements for fall protection. 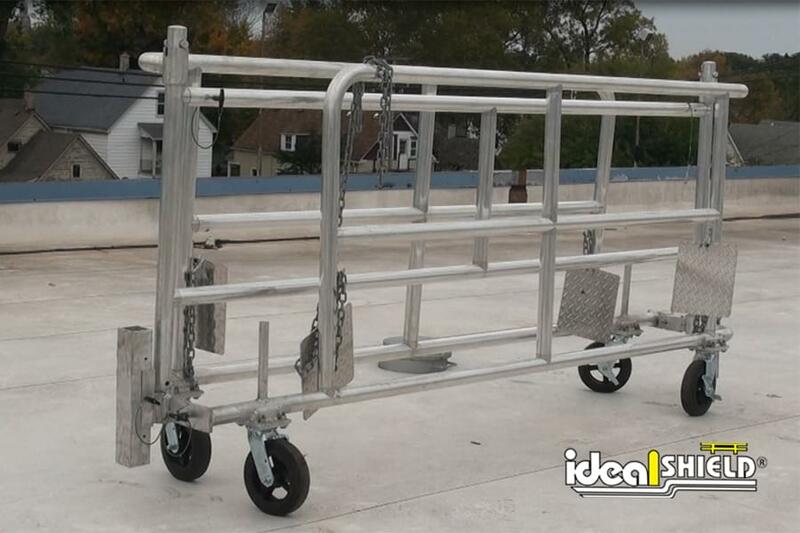 Parapet mobile barriers reduce costs by protecting workers without installing a more permanent roof rail system. 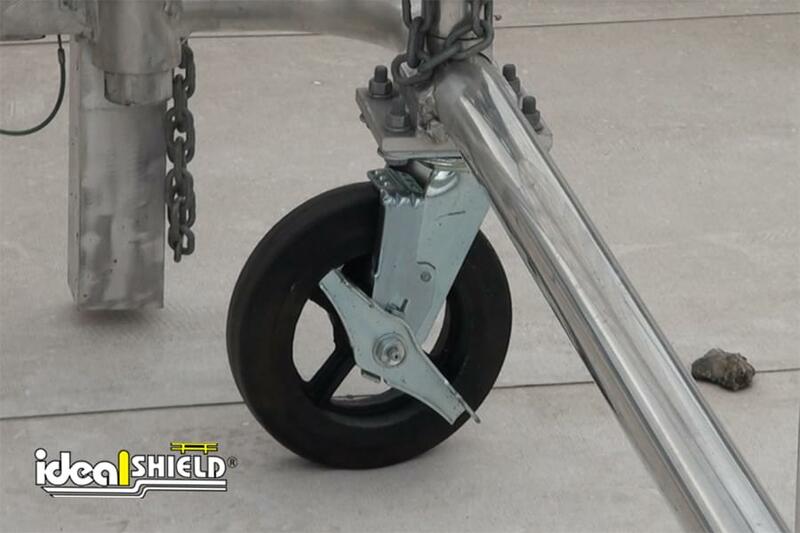 Each side wall holds 2 – 50 lb counterweights, preventing overturning on the roof’s edge. 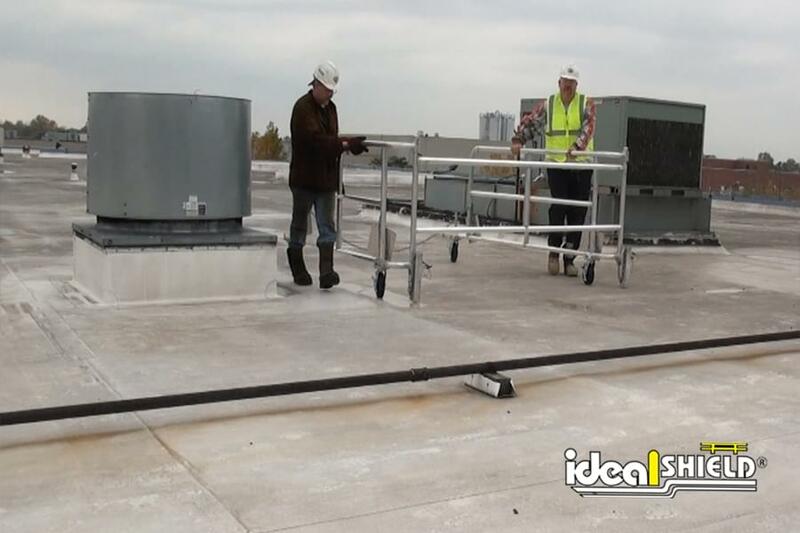 The portable barrier offers a portable, lightweight, and cost-effective solution when compared to the average personal protective equipment and other permanent roof rail options.